As our reliance on the digital space continues to grow, so does our level of comfort with it. You might even say we are making ourselves right at home online. But, unlike our real world, where there are walls, drawers and safes in which to store our more valuable information, the digital world is uncomfortably exposed. And our reluctance to acknowledge how vulnerable we are online is risky when it comes to protecting privacy. In tandem with this survey, a separate survey was conducted on the contrast of how consumers divulge information online with their openness with prospective partners on first dates. 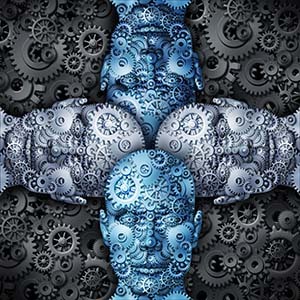 When blended together, the two surveys suggest a striking communicational disconnect between the reasons why organizational decision makers value encryption and the actual frontline application of said privacy technology. Encryption continues to grow steadily and is showing no sign of slowing down – with 53 per cent of the IT professionals and decision-makers surveyed identifying encryption technology as very important or even critical to their organizations. 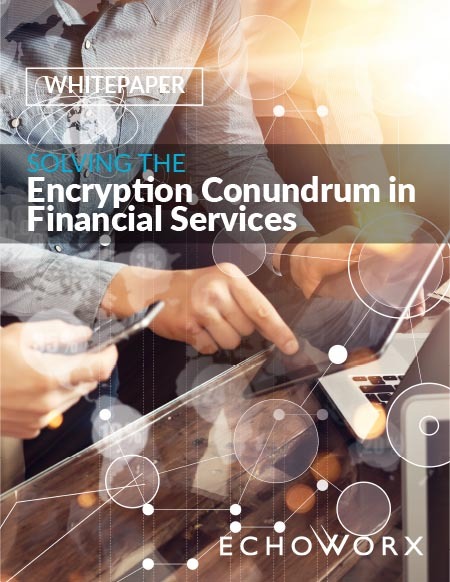 In addition to highlighting the importance of encryption, three quarters of these organizations indicate that they currently have encryption strategies in-place – a clear signal that encryption software is in their pipeline. But this optimistic growth of encryption neither permeates through the organizations themselves, nor appears to be prioritized for the right reasons. 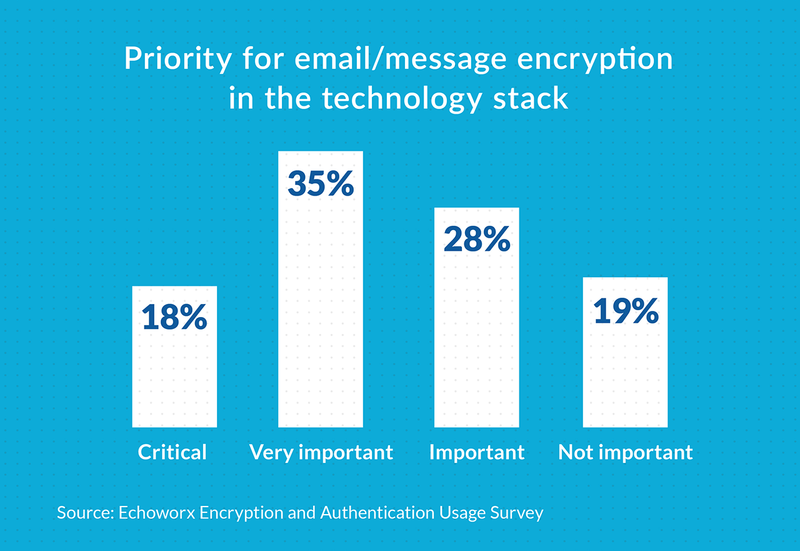 When asked whether encryption technology is actually being used by their organizations, only 40 per cent of respondents said their organizations are using data privacy technology extensively. To further muddy the waters, a further 50 per cent of respondents admitted that they advocate for encryption to meet privacy regulations and avoid expensive breaches – not necessarily because they are concerned about protecting your private data. A third of the average daily emails sent by IT workers which should be encrypted go out open and exposed in clear text. And, while encryption is available at these organizations, 62 per cent of them put the priority solely on external communications. This lack of implementation is alarming when you consider that many companies are now moving their email servers to the cloud – making even internal communications external in nature. might be subject to a class action lawsuit, irrefutably damaging brand image. Though nearly three quarters of people know what encryption means and why it exists, 45 per cent of them continue to send personal details through open email in a reckless manner. 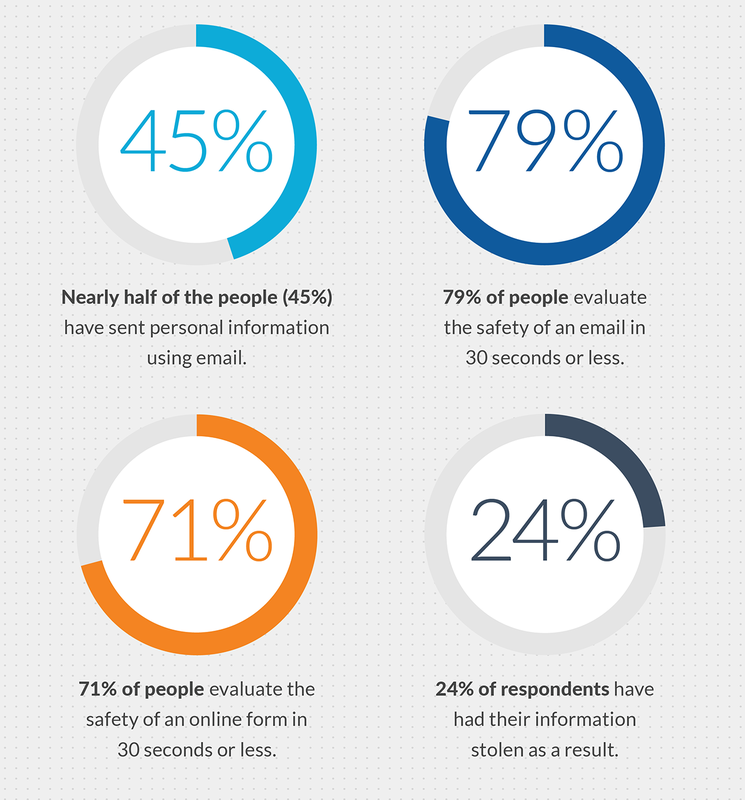 Thirty seconds or less, for example, is how much time people take to evaluate the safety of an email asking for personal information before sending their most-valuable information away – a statistic nearly as prominent for the safety evaluation of an online form. The result? 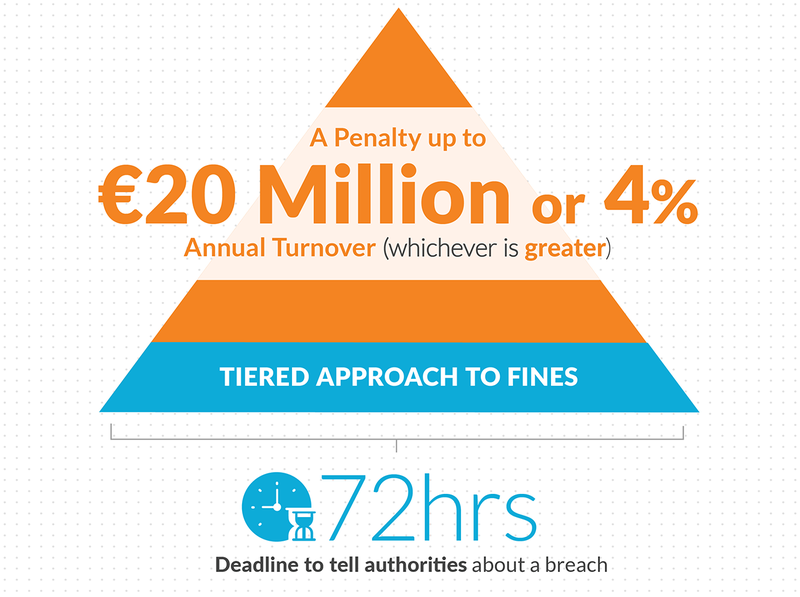 A considerable 24 per cent of people have had their information stolen. Survey respondents show a lack of disclosure when it comes to sharing quantitative personal data to potential partners on a first date. These valuable pieces of information varied in terms of value on the black market, but displayed our willingness to let slip data about ourselves to complete strangers. 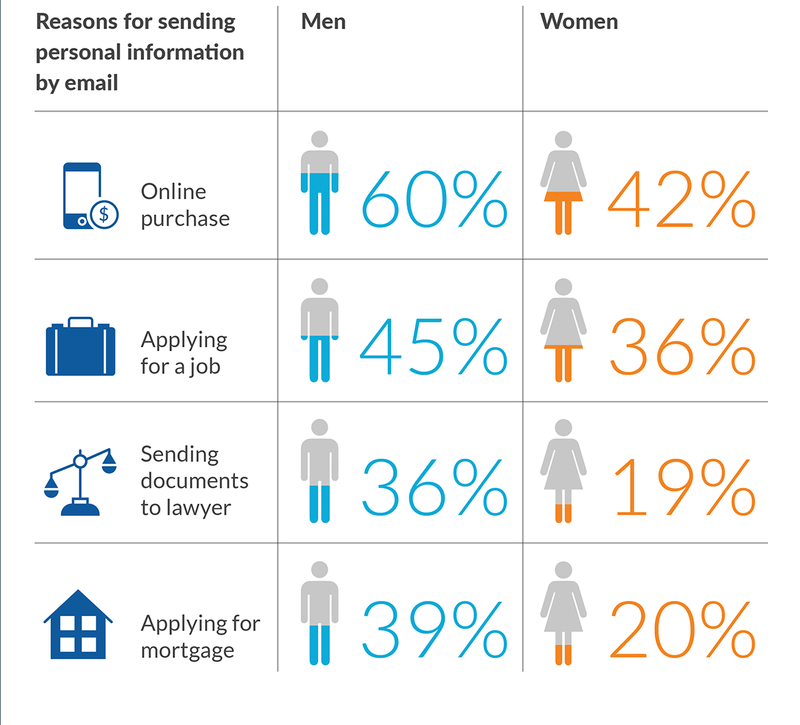 Over a quarter of survey respondents, for example, are likely to share their real birth date, email address, full name and phone number on a first date – more than enough data to impersonate someone. more reckless with their personal data. for mortgage or online shopping. When people trust you with their information, they are making you a liable party in the instance it is lost or stolen. With the new General Data Protection Regulation (GDPR), which effects all business in Europe and with European companies, for example, initial fines for breaching personal user data start at €20M. And the expenses of a breach do not stop there. In addition to massive fines for non-compliancy, there is the question of whether the issue is escalated further to brand-damaging class action lawsuits. Take Target’s 2013 breach, for example, where various class action lawsuits, brand damage and initial fines have cost the company an estimated $240M to-date – a number which continues to grow. Despite there being a demand for encryption, the technology is not being used to its full potential within organizations offering it. 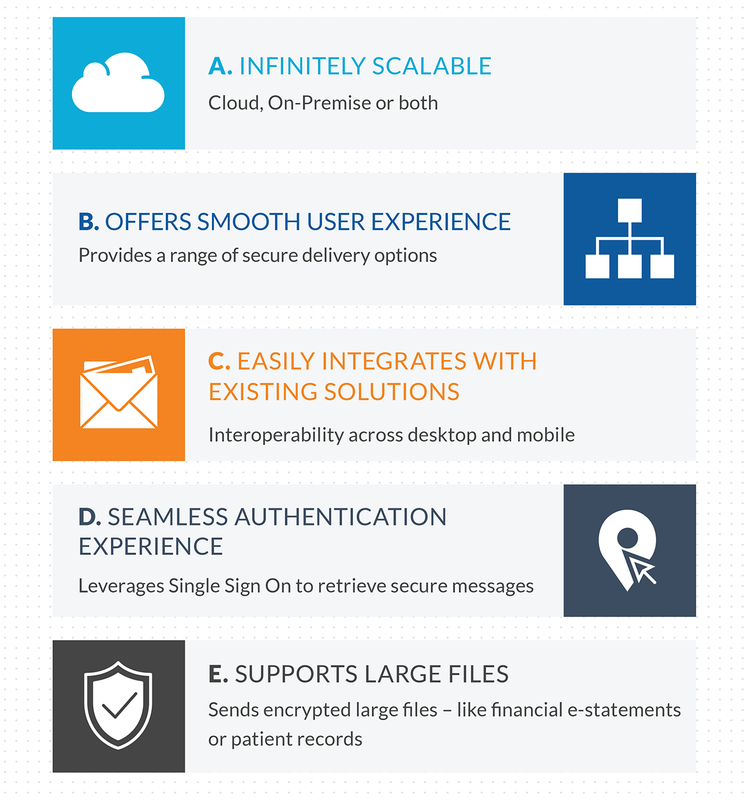 One primary reason for insufficient use stems from the time-consuming difficulty of using older encryption software – both for front- and back-end users. Investing in a contemporary encryption platform package is the best way to encourage members of your organization to use it – especially for mobile. 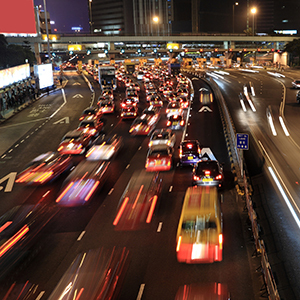 In addition to being faster and easier to use, newer encryption software integrates with ease with existing IT systems and offer multiple methods of protecting information in transit. authentication and other related issues. The Osterman Research survey panel provided results from a total of 165 surveys taken during September 2016. The study, commissioned by Echoworx was conducted by market research company OnePoll in August 2017. This random double-opt-in survey polled 2,000 adults from across the United States. The research asked people to rate their level of comfort in giving out certain sensitive details in different contexts.